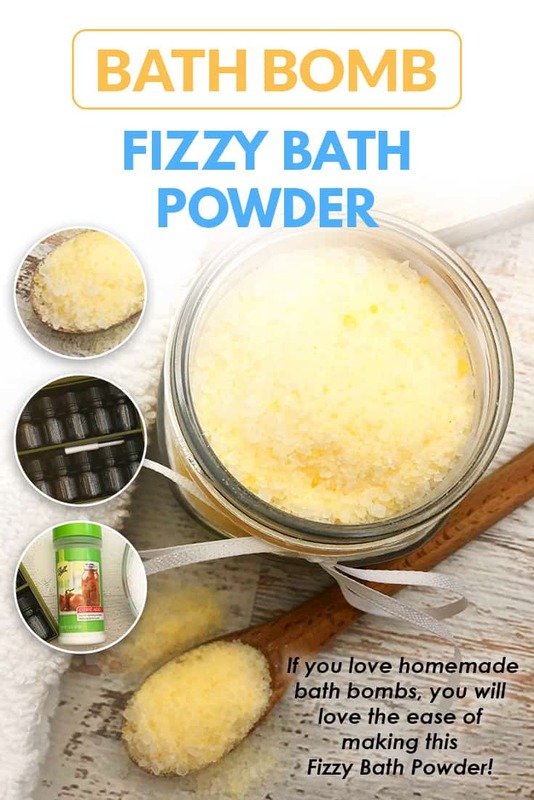 Do you love homemade bath bombs? 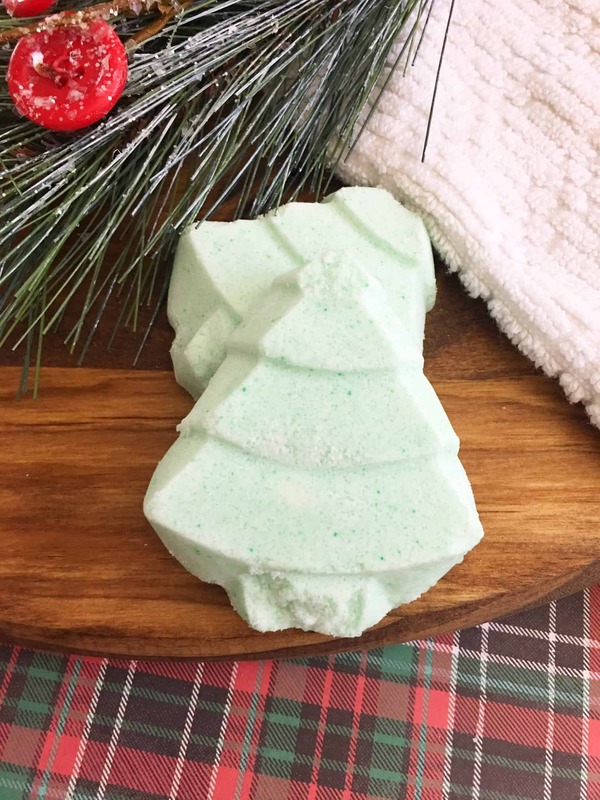 You know I do since I've shared a few recipes for bath bombs over the years. 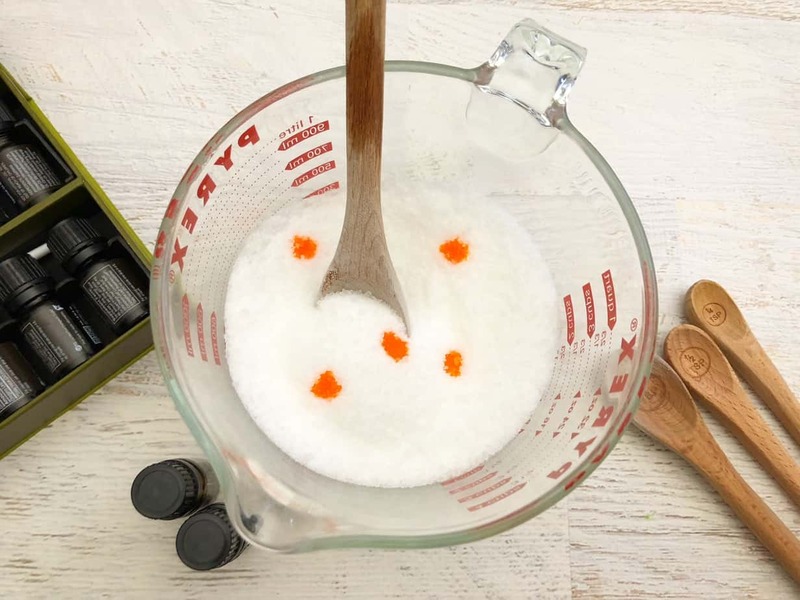 While bath bombs are easy enough to make, they do take more time to prepare, which is where this Bath Bomb Fizzy Bath Powder comes in!! 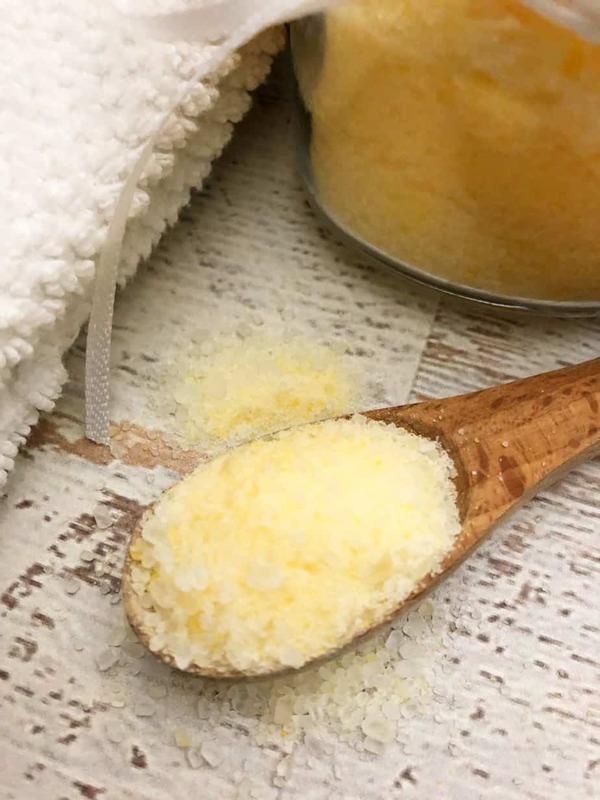 If you love homemade bath bombs but don't want to mess around with the time involved in mixing and adding to molds, you need to make a batch of this fizzy bath powder! I purchased something similar to this at a craft fair last year. I loved it, and knew immediately that I needed to recreate it! The mixture of bath dust will store perfectly in a mason jar. Make a big batch to keep for yourself and have on hand for easy DIY gifts! 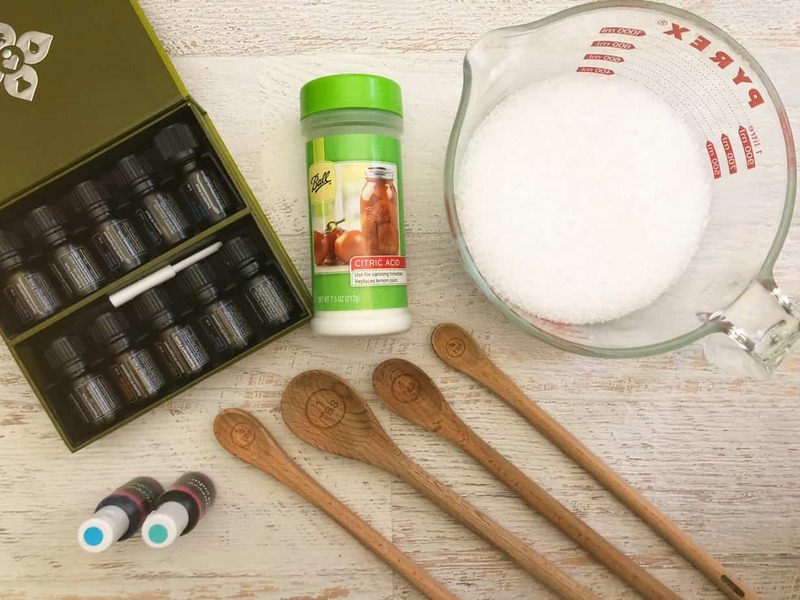 Mix your epsom salt, baking soda and citric acid in a small bowl. I like to wear a little mask when mixing the citric acid. 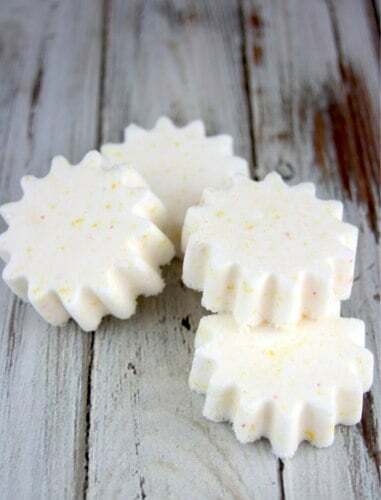 Add in the mica powder or food coloring and the essential oils until combined. Mix well until combined. Scoop into an airtight container. When you're ready to use just add a small scoop to your running bathwater. The dust will fizz and dissolve more quickly than a bath bomb. However, the therapeutic benefits will remain with you as you soak into the tub. Change up the essential oil combinations to your preference, and layer different scents and colors together. If you want to try that, mix the dry ingredients together and split it up into separate bowls. Then, just add the essential oils and colorant to each bowl separately. 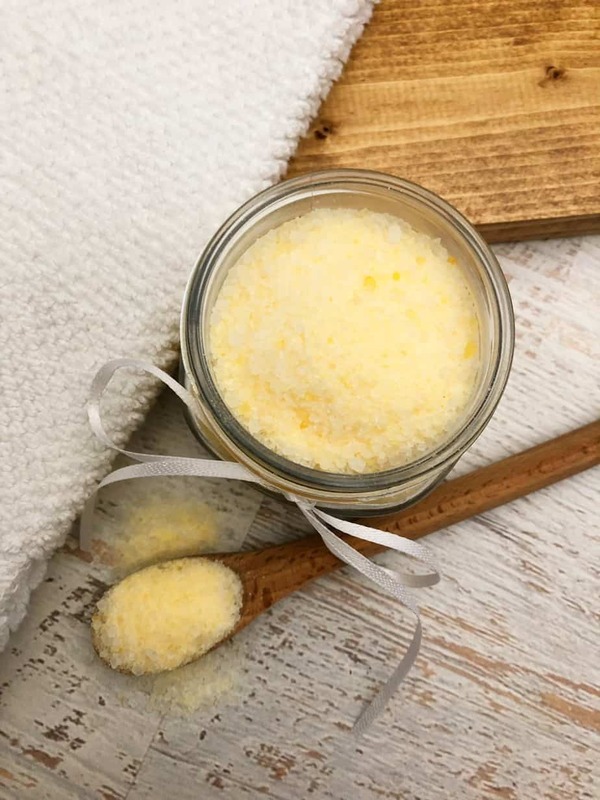 Layer the bath dust into a mason jar and keep on hand for self pampering or quick gifts. Don't forget to Pin this on Pinterest! 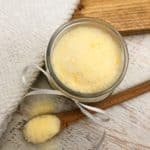 Disclosure: This post contains a link to an affiliate and support this site. See my Disclaimer Policy for additional information.